“I don’t care who’s playing,” a close friend said about Lollapalooza. I had an extra wristband for the three-day spectacle in Grant Park and mentioned I would attend with my sister. “You don’t care about any of the artists?” I asked. This seem impossible. Lollapalooza, more than any other festival in the city was packed (perhaps bursting at the seams) with musical artists local, national, and international. Taking early acts who sweltered under the high heat of August and headliners who were often the largest draw for the weekend into account, I found it hard to believe that there was literally no artist to draw her interest. I began my professional writing career covering music. I interned for Venus Zine and ALARM magazine, two local independent staples of the music scene in the aughts. I attended what felt like hundreds of concerts throughout college, first for the enjoyment and later to review the performances. I even hosted a show for two years with Brooklyn Radio and briefly wrote for Pitchfork. So not caring about the music was ridiculous. What other purpose does a music festival serve than to provide music for eager and curious audiences? Apparently, a lot of things. Last weekend, I attended the North Coast Music Festival. I&apos;ve attended in the past, but this year felt distinctly different. This is no fault of North Coast. I noticed this differentness at other festivals too. And the differentness was not always a good thing. In many cases, the differentness seen with the crowd felt like an attempt to take away everything that made and makes music festivals so great. The musical lineups are still fantastic. I would even argue that they&apos;re better than ever. Wavefront is beautifully curated and a special homecoming for the city and its musical roots. It is severely underrated. 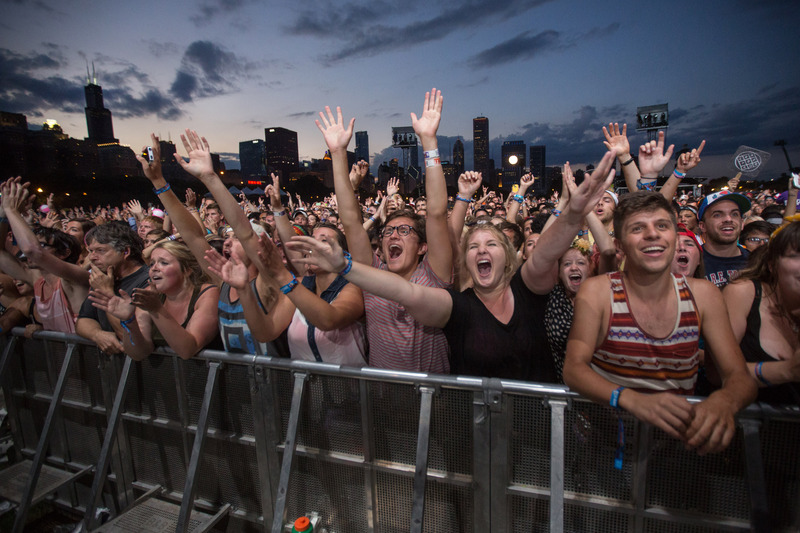 Lollapalooza is a local extravaganza that brings in audiences from across the country. North Coast is eclectic and diverse. Pitchfork feels as fresh with its lineup as ever, yet steady in its mood. Pitchfork is a festival that I have grown into rather than abandoned. It has only gotten better. But a creeping weariness grew throughout the course of this festival season. I wasn&apos;t sure if I was just getting older, or if the crowds around me were changing. Maybe I changed too and didn&apos;t realize it. I am 25 years old. That both means something and it doesn&apos;t. I&apos;ve been attending concerts and raves and festivals since I was a teen. Revelry is not new. But revelry as I knew it and revelry as it currently is are not one in the same. Media coverage on the Monday following Lollapalooza always felt a little ridiculous to me. Yes, music publications and websites always covered the performers, but a gaggle of online gossip and celebrity entertainment websites always covered the festival, too. However, their coverage steered largely toward who was there, what they wore, how much swag they posed with, and what parties they attended. Lollapalooza was not a music festival so much as an interchangeable word to document celebrities in their leisure time. Lollapalooza could have been Coachella or Bonnaroo. Who played that weekend? Who cares? The star of a CW television show took selfies at a downtown club locals rarely frequent! For the first time, I saw that translate to regular audiences at the smaller festivals. Not the celebrity glut, mind you, but the idea that the festival was everything but the festival. Elaborate yet miniscule costumes were worn, drugs were sold what seemed like openly, a general drunkenness permeated the air. I saw a lot of young people who were probably not from the city passed out on the sidewalk while their friends texted with abandon. At the festivals, there were more backs turned away from the stages than toward it. I consume music so that it is around me at all times. I listen to it during my commute to work. I play songs to help me better concentrate while working. And concerts and DJ sets are a regular occurrence. Smart Bar is a second home. Shows are highlighted and frequented on a weekly basis at minimum. I see the music festival to listen to acts I am not familiar with and acts that have yet to step foot into the city. But if you do not live this lifestyle, if you do not spend tens of hundreds of dollars on music throughout the year, then a music festival becomes the amalgamation not just of musicians, but of everything that surrounds music culture. It is the drinking and the drugs and the recklessness. It is getting in a little trouble. It is getting in a lot of trouble. It is the gluttony, especially. Last weekend, two concertgoers (Olivia Rotondo, 20, and Jeffrey Russ, 23) died of drug overdoses at the New York stop of Electric Zoo. According to a report from the New York Post, Rotondo told an EMS worker on Saturday, “I just took six hits of Molly,’’ before collapsing in a seizure and dying. The last day of the festival was eventually canceled. This is, for many people, their one time to live beyond their everyday. The only reason why the older people around me at these festivals don’t act as severely is because their bodies can no longer take the impact of three days on edge. Not that all of these things occur at the same time or even at all at any normal concert, but they could, and the music festival becomes the way to amplify this, to turn it into something unnatural and extreme. In many ways, when talking to friends and acquaintances about why they want to attend a festival, it is to live through an idea of what they think should happen. They don’t know for certain if other festivals or concerts are like this. But they are pulled toward the headiness of allusion, all of its promises wrapped up in Youth personified. I am the VIP. I am the one who will go to the places they will never go. I am the one who will see the things they will never see. I am the one who will live the life they will never live. On Saturday, I stood excitedly by a smaller stage to see a solid and lively set by teenage DJ duo Bondax. I had been anticipating their set all weekend after spending the summer living off of their breezy hits “Gold,” “Giving it All,” and “Baby I Got That.” My friends had not arrived to the festival yet, so I took a chance and asked a group next to me who they were excited to see.